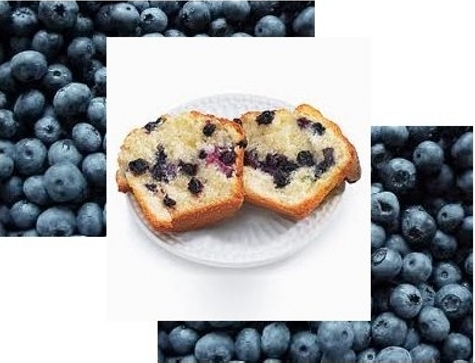 Today’s post is going to be all about blueberries, and I’m not talking about the RL fruit that’s good in muffins. Nope! I ‘m actually going to talk about our warlock minion tanks known as our voidwalkers and our new voidlords. 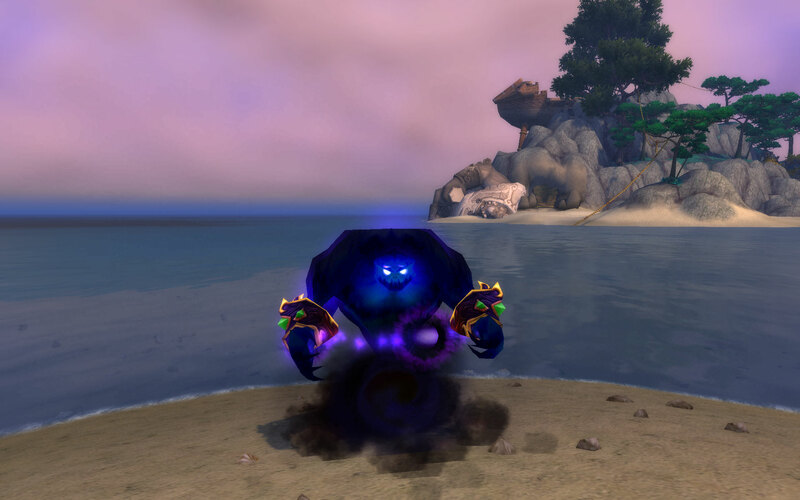 I’m not quite sure when warlocks began to coin their voidwalkers with the name blueberry, but the term has been branded onto these minions like a “two-button rotation” is now synonymous with the mage class. 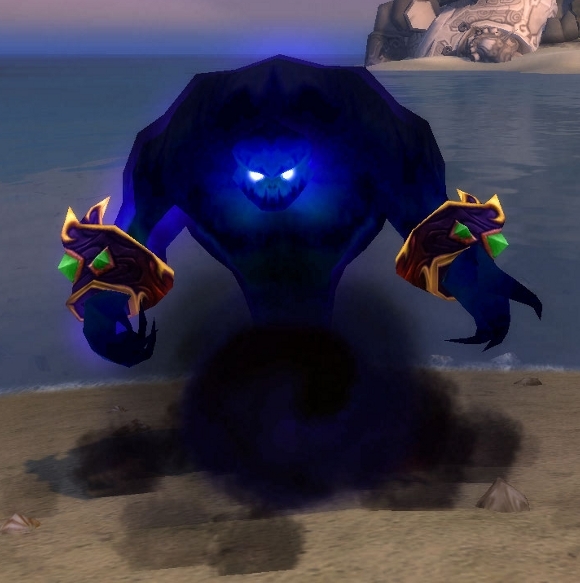 First, we’re going to discuss the basic abilities of our blueberries, and then we can examine the differences between a standard voidwalker (VW) and the newer upgraded versions called the voidlords (VL) that can be attained by selecting the Grimoire of Supremacy at level 75 in the Mists of Pandaria expansion. We’re talking about blueberries, but not this kind! Although, they do look good don’t they? For a long time, voidwalkers were once great tanks. Solo questing with your blueberry was fun and productive because our big, blue, and barricading buddies would keep the bad guys at bay. (Ouch, sorry! There was a lot of alliteration in that last line. Doh!) Not too long ago in dungeon runs, believe it or not, if there was ever a need for a spot tank or OT for a quick burn or tricky mechanic you could actually use your voidwalker. Like the tenacity pets of hunters, our blueberries could taunt and tank at our command. Then, *sighs* Blizzard nerfed them. I’ve heard and read several reasons for this really bad, horrible and disastrous decision. Much of the reasoning behind the nerf was because players were using and abusing the voidwalkers as tanks in certain dungeons instead of using a MT or an OT. As we all know Blizzard giveth and Blizzard taketh away, and holie crapolie they sure took it away to the extreme! Whatever the reason, the nerf to our minions devastated the voidwalkers ability to tank and hold aggro. When you approached a mob and sent your blueberry in to attack, warlocks actually had to hold back on their dps otherwise they very quickly and very easily pulled aggro from the VW. The nerf was so bad that most ‘locks never used their blueberries anymore other than running around with them in major cities for it’s good looks, it’s trite sayings, and it’s sentimental value. You know if we, as warlocks, needed a minion that was this squishy and harmless they should have just let us summon mages right? Yes I know, who would want to stop and wait for a mage to eat and drink all the time? I guess using a blueberry was perhaps a better than a mage for our QoL despite their inability to tank. Now, I’m not ashamed to admit it and I have enough self-confidence to say it out loud. I <3 me my blueberry, Hukrath! Yes I do! Because even with his nerf he’s big, he’s blue, and he’s fun to be around. Sure, he can be a little snarky sometimes. Yes, he can even be a little daft every now and then. On more than one occasion, Hukrath decided to drag every mob in an instance back to wipe our group on accident because I forgot to dismiss him for fun and glory. Ah the memories! Despite Hukrath’s antics, I’m not even exactly sure what it is that I like about him so much. Maybe, he has just grown on me? Have you ever seen the movie Scarface? Remember when Tony yells, “Say hello to my little friend!” Well, I wanted to scream that line every time I sent Hukrath in to a fight. I always got a smug, and prideful feeling when he used to call back to me, “As you wish” as he chased down my next prey as they fled from him in terror. Muahahaha! Oh the joys of being a warlock! Luckily, we as warlocks, can all stand loud and proud with our blueberries again because in Mists of Pandaria they can taunt and tank like before. Before the nerf I mean :) Currently, in game at level 8 you will be able to learn the ability to Summon Voidwalker and just like the imp, you will not be able to truly command these demons until level 10 when your pet bar opens up; then you can control him at your will. From level 8 to level 10 they are like a protective companion that taunts and attacks whatever you decide to destroy. As you gain in levels and abilities, so will your Blueberry. The Pet Action Bar for the Voidlord. Yep, it’s the small one at the top! I have the pet command Follow and the stance Assist selected for questing. In Last week’s post, we discussed imps and Fel imps, and I realized that I forgot to mention or discuss some of the basic pet and minions commands. If you have never played a pet class before, get familiar with using the pet bar located above your standard action bars on your UI. Yes, you will be clicking on them and you won’t break anything, trust me. There are several kinds of demonic pet skills. They are: Pet stances, pet commands, passive skills and special ability spells. 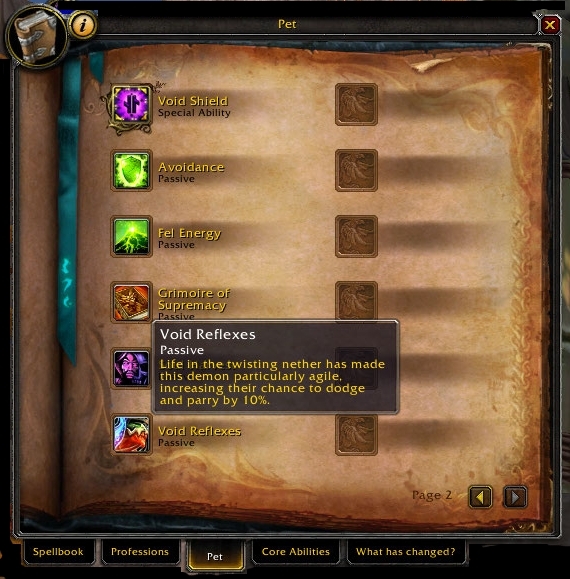 Your pet tab will list all of their abilities including the passive ones! Avoidance – This reduces the damage from AoE attacks by 90%! You gotta like that number! Hukrath on a beach smiling for the camera after we took down some nice sized sharks. Sacrifice (level 28) – Sacrifices and destroys part of it’s own health to shield or mini-bubble the warlock for 30 seconds preventing any interrupts of the warlock’s spell casting or until the shield fails. Threatening Presence (level *Not listed) – This one is a bit wonky and confusing in the way it reads; however, I’m sure it’s true intention is on building and holding threat. Disarm (level 20) – A passive and instant ability that removes the weapon and shield from a target for 10 seconds with a 1 minute gcd. 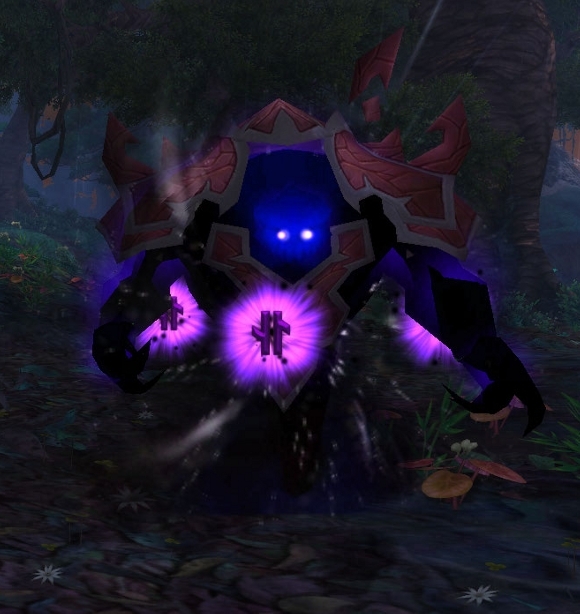 Shadow Bulwark (level 54) – The former out-of-combat health and mana restoration ability called Consume Shadows that our VWs had in cataclysm has now been changed to a quick “Oh Noes” button for your blueberry for use during combat. Shadow Bulwark grants the demon 30% of it’s maximum health for 20 seconds. Pop this while questing when your VW or VL drops in health, use a Health Funnel to bring them back up and you now have a recovery option from losing your blueberry tank with 1 minute gcd. I like this spell a lot now that our voids can tank! Shadow Shield and Void Shield – (level 28) – The Shadow Shield is used by the VW and the Void Shield is used by the VL. This spell takes the place of the former Sacrifice, but rather than protecting the warlock, it protects the demon instead. Visually, the shields look like a purple ‘lock version of a shaman’s Earth Shield encircling the demon for protection. Each time an enemy target strikes the shield the enemy will suffer shadow damage with each attack. A single hit reduces the shields by 20%. Roughly, it will take about five hits before it’s protection breaks and you’ll need to reapply. It can be set to automatically be recast if it falls off, but this hasn’t always been the case during my testing of it. These shields also reduces the damage done to the demon by 60% for 30 seconds or until they are destroyed. Shadow Shield and Void Shield have a 10 second gcd and both are currently listed under MoP WoWhead’s database under the same spell name. In Beta, the names are different and distinct. *A Special Note: Don’t forget that all of the new demons offered by the Grimoire of Supremacy at level 75, including the voidlords, have 20% more health and provide 20% more damage! Woot! My beta voidlord, Azaros, sporting his Void Shield. It’s a shame I probably won’t be able to keep his name. It’s growing on me! Command Demon – This is a new addition Blizzard has added for our convenience. Rather than being placed on the pet’s action bar, you can place this spell anywhere on any of your action bars. When you cast Command Demon, the demon you are controlling will fire off its most powerful spell. For both the VW and the VL, the Command Demon ability will cast Disarm. It would appear that the Command Demon button will make keybinding and macro writing much easier too. A few weeks ago, I posted about the newer upgraded demons missing personalities and new voices. At that time in Beta, the new minions simply kept many of the same sounds as their lesser counterparts. Well, Blizzard finally fixed those issues and now our new demons have their own voices along with some unique (some annoying of course) personalities. You might have already seen or visited this link, but a few weeks ago MMOChampion captured the latest sound clips of the new warlock minions. If you haven’t had time to check them out they are listed over here at YouTube–> MoP Warlock Minion Sound Clips. FYI and a quick warning, it’s a 7 minute audio clip. The Fel imp sounds even more obnoxious than the standard imp. It’s hard to believe, but it’s true. I know some people are annoyed by the sounds of the succubus and the imps, but I enjoy them for their smart aleck style banter. For next week, we’ll take a look the demons that mages and healers love to hate. No, it’s not our Succubus or Shivarra (Heh, mages could only dream to summon one of them). Instead, we’re going to look at the Fel Hunter and his new, upgraded version called the Observer. Until then, have a great week and enjoy the summer weather.